Inspired by ABC TV’s Shark Tank, I recently hosted a complimentary teleseminar, with Financial Expert Dean Erickson, to share tools, advice and strategies on helping entrepreneurs calm their nerves, on preparing for presentations and on landing great sponsors and lucrative business deals. During the Get Ready for Shark Tank Teleseminar, I received many great questions from attendees. In case you’ve missed this on my Facebook page, here are the questions, along with my answers. Q: What if you are presenting something that is completely new: nobody else is doing or has done it in the past? How do you run projection numbers? Service business. A: If your concept is brand new, most investors would want to see proof of concept, so you should provide the service and create a track record of measurable results. Projections will be challenging, but if you can show that there is a viable market and that you can make money, and that you can expand the service offering beyond what you can provide as an individual, investors could be interested. 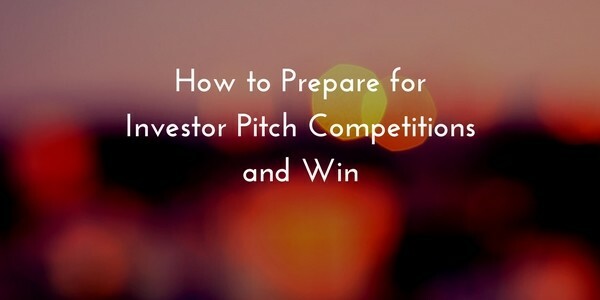 Q: How do you protect your idea during the Shark Tank/pitching process? A: Consider working with an intellectual property (IP) attorney, who can help you with copyrights, trademarks and patents. Beyond that, if you’re approaching investors (not the Sharks on Shark Tank), you can ask them to sign an NDA (non-disclosure agreement) before you share the details of your idea. If you’re going on Shark Tank, remember that it’s televised, so don’t share anything you wouldn’t want to broadcast to the world. Q: How much of the development process will they assist you with if the idea is complex? A: Each Shark (and each investor) is different. The Sharks generally want you to have developed the product beyond the prototype phase so that you can present them with an idea of manufacturing costs, and so you can have had time to sell the product and test the market. There are some investors and venture capital firms and business incubators that help more with product development than others. This is where research comes in. Q: Will the Sharks consider working with me if the concept of my idea is simple, but the construction is a bit more complicated than my level of expertise? A: It’s possible. However, the Sharks more often invest in a business that’s going than they do in an idea that needs development from the beginning. Most investors would expect you to do the legwork of finding a designer or engineer to help you develop your idea further, before you approach them. Q: Which Shark in your opinion would you recommend? A: Each Shark has his or her specific abilities, personality traits, interests and industry connections. It’s good to think through what you need and how you work best, and then consider which Shark would be the best fit for you. However, as you can see by watching the show, sometimes the Sharks surprise you, and the Shark you’d never imagine would step up and say yes to a deal does, and the Shark who seemed like the obvious fit for the project declines. Q: I noticed how the contestant will tell the Sharks that they do their own social media and SEO. Is that necessary to do your own labor or delegate it? A: You don’t have to handle your own social media or SEO. However, as the head of your company, you should be very involved and know your numbers. Social media is used by most companies for marketing and PR purposes, so the management of social media should be taken seriously as a marketing/PR function. SEO is also an aspect of marketing, so you should know your numbers, such as numbers of unique visitors to your site, and, possibly, demographics of your site visitors.